Hi, my name is Alberto and I'm a graduate-entry medical student in P-year. I only began rowing two years ago, but was quickly equally hooked by the physically demanding nature of the sport and laid-back and fun team atmosphere. This academic year I will serve as your Secretary. This entails various duties, such as: setting the agenda for committee meetings, taking minutes, ordering of kit, and helping out with sponsorship. Please don't hesitate to approach me with any ideas or concerns you have regarding the boat club. We are a large society so speak up. I will make sure to bring it up at committee meetings. Hello, I’m Branko - this year’s Vice President. I’m a final year medical student and have spent 5 years at SGHBC, witnessing the club grow a lot throughout this period. Last year was an exceptional year for the boat club in many areas—namely the increased alumni involvement with and an impressive charity erg event. This year I aim to actively support this impressively knowledgeable committee in continuing these successes of recent years but also to expand in certain areas such as educational support for students. Should you have any questions, feel free to contact me at m1301208@sgul.ac.uk. Hi, I’m Alex and I’m currently in my final year of Biomedical Sciences. I’ve been a part SGHBC for two years and served as Vice Captain last year – I have loved every moment! The club has become a massive part of my life and everyone in it have become like a family to me. This year I am Treasurer,;I look after all the boat club’s finances. I work closely with the Branko and Alberto to ensure that the club stays up-and-running, as well as making sure you all feel welcome as part of the club! Finally, a less fun (but equally important) role is to collect subscription fees to ensure the club keeps rowing! If you have any questions or queries, contact me at m1500791@sgul.ac.uk. 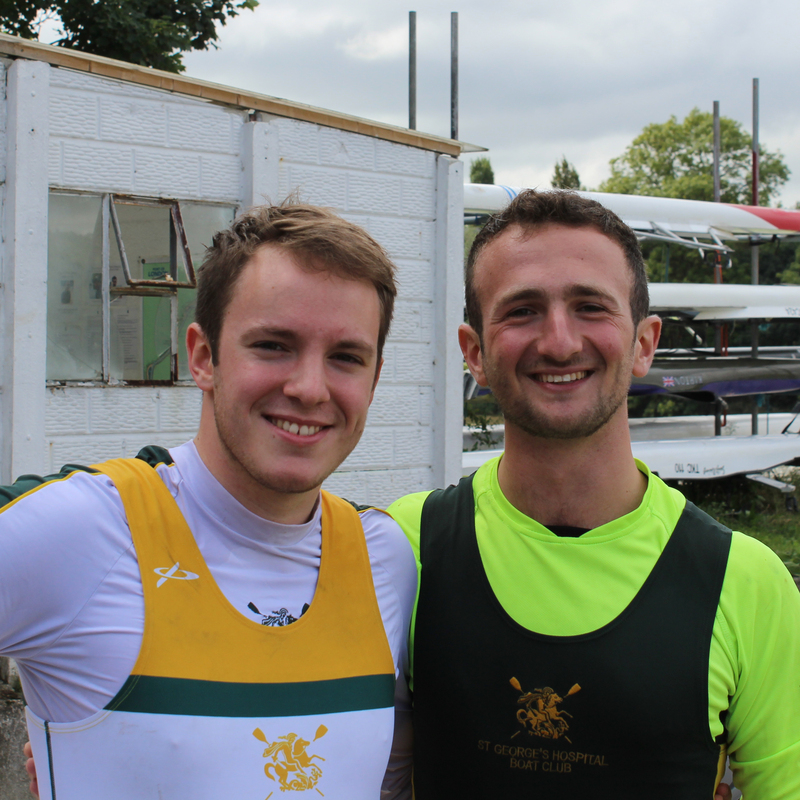 Hi, we’re Ollie and George, the SGHBC men’s captains for the year 2017/18. We have been in club for 4 and 3 years respectively. 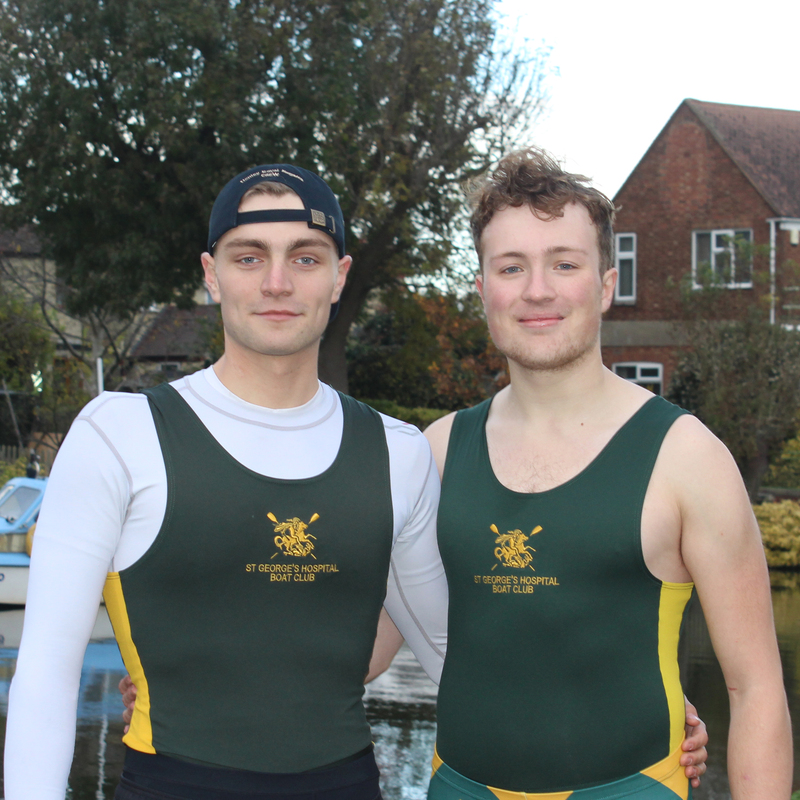 Ollie began rowing at St George's in his first year, and George began rowing before Univeristy with Newark Club, competing at Henley and National Schools among others while he was there. Our role is to co-ordinate the men’s squad for outings, land training, and races. We make sure that the squad is on target to meet our goals and individual athletes are developing. We would like to see the men's squad become competitive not only on a United Hospitals level but a national level. We are lucky to be working with Stu Pearce this year as the men’s head coach, and even more lucky to be working with the George's men rowers, who we will be working with to make sure this is a golden (and green) year for SGHBC men. Hello! 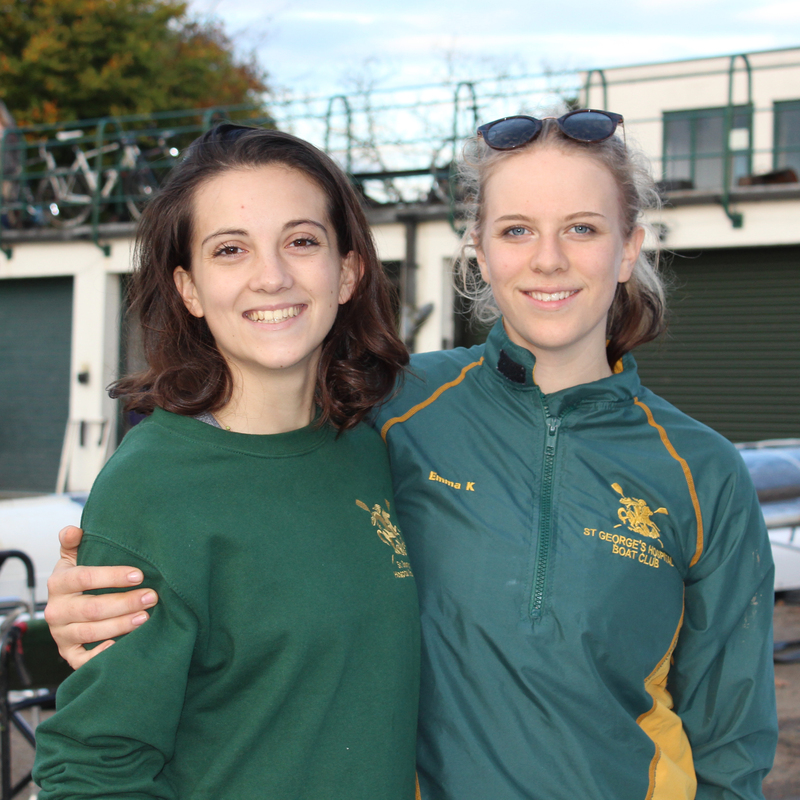 We are Annabel and Sofia and we are thrilled to be the captains of the women's squad for 2017/18. We have both rowed for SGHBC for three years and have been members of each crew (the firsts, seconds, and thirds VIII) during our time here. We also held committee positions last year (Bel as vice captain and Sofia as social sec). We love SGHBC and since starting as freshers we have seen some big changes in the club. SGHBC is a vibrant and exciting club to be part of,and we wanted to be part of and our women's squad is filled with enthusiastic and strong women who we are proud to represent. SGHBC is definitely the biggest and best club at George's - we are the only club that holds mixed socials with the men and women consistently and we all train at the wonderful ULBC in Chiswick. We are extremely excited for the upcoming year, with the help of our coach Steven. Hi, we are Sam and Will and we are very proud to be the Men's Vice Captains for 2017/18. Our role is to train this years cohort of novice rowers to reach a competitive level with regular water and land sessions. We both joined SGHBC 2 years ago with no previous rowing experience. The Vice Captains back then were vital for our success in our fresher year races and we very much look forward to replicating this role. 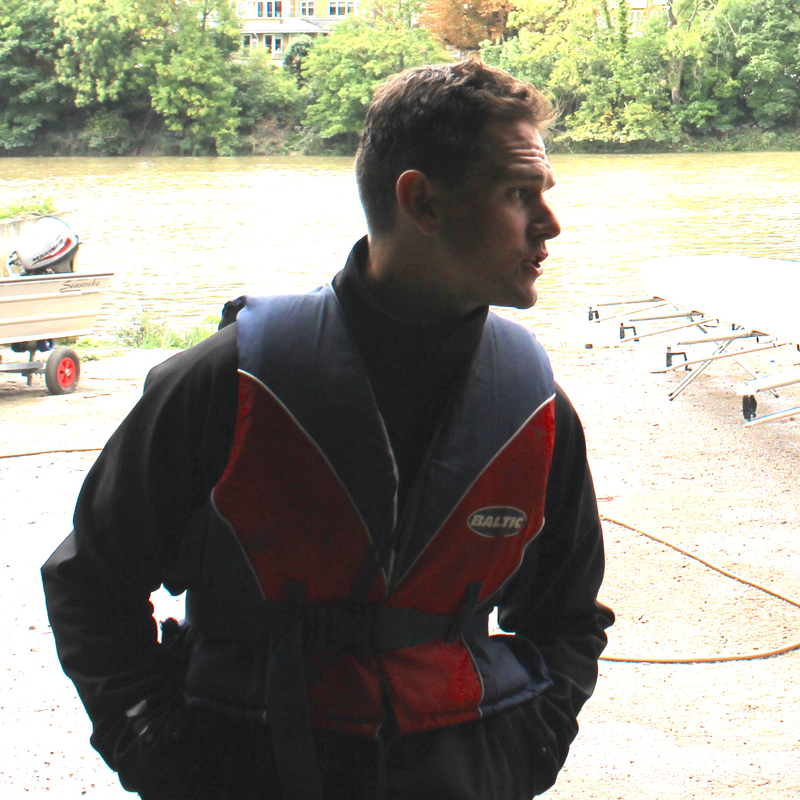 Hi, as Men’s Coach my aim for the year is to get everyone up to speed with how to move a boat as a crew and to have fun doing it. Coming from, and learning to row at Georges myself, there is nothing I’d like to see more than the Boys smashing UH events once again, and coming away with medals rather than spoons come Bumps! As Women’s Coach this year, my job is give people the tools to develop their physiology and make boats move as fast as possible. This year, SGHBC women will rise like a phoenix from the ashes to tear up the tideway and the rest of UH. This year is almost certainly going to be successful for SGHBC men and women’s squad so be sure to throw yourselves in! Always feel free to grab me if you have any rowing questions and I’ll do my best to answer them! Hello, I’m Christy, a graduate entry medical student in my penultimate year. This is my first year of rowing, but the combination of pushing myself physically harder than I ever have, and being able to hang out with a really great bunch of people, has me hooked! This year I’m filling the newly created role of education officer. It’s tough to balance a busy university schedule with a time intensive sport like rowing, and so I’m here to make sure everyone is able to reach their academic potential! Any questions email me m1400728@sgul.ac.uk. Hi, my name's Luke. My role is to develop the club by growing our current sponsorship deals and securing new sponsorship deals for the boat club. Our online presence has grown hugely over the past few years - I am keen to continue this to benefit our club. This year I hope to organise much larger fundraising events to raise money for St George's Hospital Charity in addition to our traditional 24 Charity Row. Hi, I'm Craig, the Alumni officer this year. My role is to build strong bonds with past members of the club, keeping them involved with our activities and managing the alumni team, the Old Knights and Damsels. Last year saw the first alumni crews entered into several races for the first time in many years and I hope to work with our graduates to build even further on this this year. It's also my job to organise the annual Alumni Race and Dinner - an event not to be missed! Hi we’re Will and Flora and are SGHBC’s boatswains for 2017-2018. Our role is to keep the boats and equipment in good working order so that the crews can get the hours in on the water and go and win medals. Any issues with any of the equipment or boats don’t hesitate to let us know and we’ll see what we can do. We are all entering our second year in the boat club and are excited about taking on the role as your Social Secs this year! Our aim is to make life off the water as fun and as welcoming as possible. We organise all the social events including Rowing curries, Weekly Circles, Pub golf and most importantly TOUR! Tour will be the best weekend of the year (possibly your life) with a top secret destination, lots of laughs, drinking and team bonding! Following on from the success of our predecessors ‘sober socials’ will be making a return this year- ensuring everyone is involved. We can’t wait for the best boat club year yet!